Multiple ways of being: Teacher, researcher, coach, vegetable, fruit. Part of what I love about the work of research and academic writing is that it is brain-bendingly hard. There is always more reading to be done. There is always more writing. It can always be better. It can always be improved. Scholarly thinking requires a constant state of being open to critique from self and others, to finding new ways of knowing, understanding and communicating. This week I’ve received two first round lots of peer review comments. 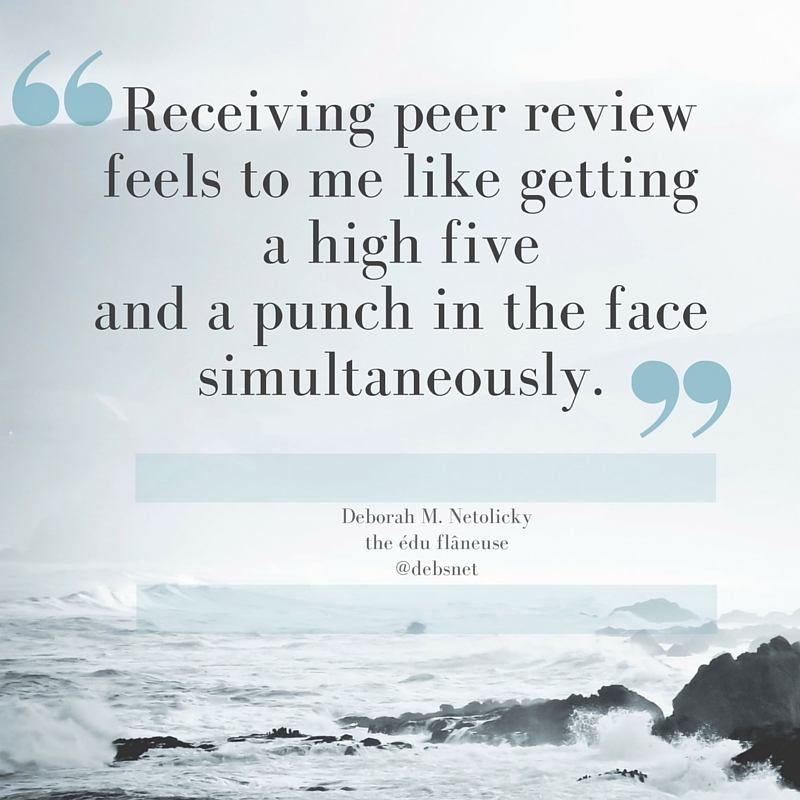 Receiving peer review feels to me like getting a high five and a punch in the face simultaneously. There is always something good, to be celebrated, and something that is mercilessly criticised. It’s both encouraging and brutal. My thus-far-neophyte experience of academic work, is reflected in Inger Mewburn’s post today. She points out that a scholarly identity is a critical and questioning one. It is one in which the academic or researcher becomes someone always in progress, always learning, always working towards a never-finished goal. Becoming a scholar, Inger suggests, is an acceptance (or at least understanding) that the work is never done. Pat Thomson this week blogged about research as embodied practices and awarenesses. Pat describes her research practice as being an ingrained part of her. Not grafted on or carried around, but deeply etched into the core of who she is and how she operates. An automatic-pilot way of being. This reminds me of my experiences of the internalisation of teaching, coaching and research, which I notice becoming a part of the ways I operate. Through deliberate practice, I find that I am internally transformed. As someone who bestrides—and intends to continue to straddle—the dual worlds of teaching and research, not to mention the world of coaching, I am interested in discussions about and expressions of professional identity. (Professional identity was also part of my PhD thesis.) A few months ago, Greg Ashman wondered what it would mean if a person who teaches at a university level identified themselves as a teacher, a potato or Napoleon. Stewart Riddle, school-teacher-turned-academic, who identifies as both teacher and scholar, responded with this satirical one-act play. I also had a go, at that time, at exploring identities and who gets to decide who and what we ‘are’; my conclusion was that we get to shape and define our own identities. I do think, however, that when the voices of teachers are sought, the definition of what ‘teacher’ means, in that context for that purpose, needs to be made clear. Fascinatingly, to my English teacher self, the word ‘potato’, originally used (flippantly, I think) in Greg’s blog post, gained momentum, taking on a life of its own. Linda Graham used it in this post about who might engage with debates in education, and Naomi Barnes used it in this post about what it means to be a teacher. Naomi proposes that “Who are teachers?” has become a radical question. Then, today, a Twitter conversation, in which one person attempted to attach a label to another, turned into a string of potato wisecracks accompanied by potato GIFs, all relating to the notion of identity. This humorous exchange seemed to engage with the question of who gets to attach labels to who. If a potato is shorthand for an academic who works and teaches in a university, I don’t qualify. I’m pretty sure I wouldn’t be accepted as this kind of potato, should I choose to identify as one. While I do some academic writing, have recently completed a PhD and have an affiliation with a university, I cannot claim potato-academic status. Insert sad face emoji. Perhaps I could adopt as my identity totem another member of the nightshade family. I love the nightshades for their glorious variety. From toxic to medicinal, from ornamentals to weeds, from fruits to vegetables, from spicy to delicious, this family of flowering plants (including the under-appreciated potato) displays the phantasmagoric splendour of the natural world. Perhaps I am an aubergine. Glossy, slightly bitter, smoky and a teeny bit addictive. The aubergine can be seen as a boundary spanner (a term recently introduced to me by Marten Koomen). It’s often seen as and cooked with vegetables, but is actually a fruit. It has a fancy French name as well as a number of alter egos (eggplant, guinea squash, melongene, garden egg). A vegetable-like fruit that is also called a squash, a plant and an egg! As a teacher-leader-coach-researcher-writer I feel an affinity with the aubergine, its multiple identities and its many labels. My boundary-spanning auberguine-esque self, sitting both astride and between worlds, wonders about my ways of being. Is it possible to embody multiple practices that belong to multiple roles? then what are we when we do multiple things as we move between multiple roles? How long does it take us to ‘become’ something in the first place? How long does it take for a researcher to stop being a researcher after they stop doing formal research? How long after a teacher’s last class, or coach’s last coaching conversation, or leader’s last formal moment of leading, before they are no longer teacher, coach or leader? Or do some of our beliefs about the world, and ways of being in the world, become so much a part of us that we continue to embody them? 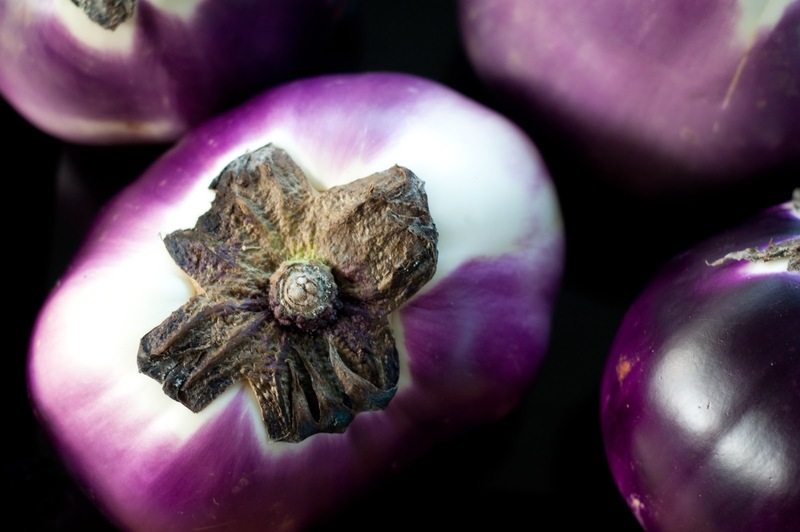 Can we morph from one vegetable-fruit metaphor to another, shedding our potato-aubergine skins? Or do we carry them within us, always? This entry was posted in Identity, PhD and tagged identity, ways of being by Dr Deborah M. Netolicky. Bookmark the permalink. I find this such an interesting topic. Having spent a lot of time of late wondering about blogs, I am of the thought that a blog is not a blog. Instead, it is a concept with different perspectives. I think that the notion of ‘teacher’ is similar. There is no all defining definition. Instead many competing roles and responsibilities. To add to this complexities I am taking on a new role next term working with schools out of a central office. Does this make me a teacher of teachers? Or one of those packets of potato mash in a packet? (Is that really potato? And even if it were derived from potato, does that mean that it is still potato even if it looks nothing like a potato?) Maybe it doesn’t matter. Anyway, thank you Deb for continuing the conversation. It is an important question.